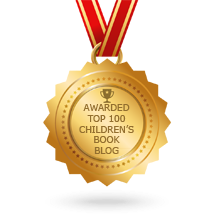 We're pleased to take part in the Schneider Family Book Award 10th Anniversary blog tour. Alyson Beecher, chair of the Schneider Family Book Award, shared the Top Ten Schneider Award Favorites on the Nerdy Book Club blog yesterday. The Schneider Family Book Award is an American Library Association Award that honors "an author or illustrator for a book that embodies an artistic expression of the disability experience for child and adolescent audiences." The criteria states that the book may be fiction or nonfiction. 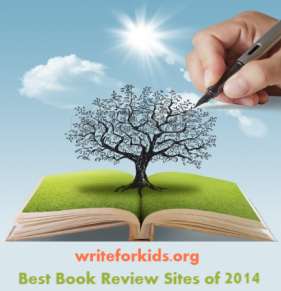 Over the past ten years, two nonfiction books have won the award. 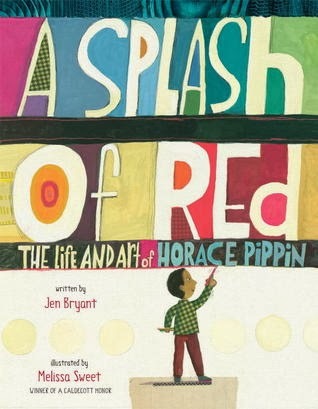 This year the winning book for younger children was the picture book biography, A Splash of Red: The Life and Art of Horace Pippin, by Jen Bryant and Melissa Sweet. Louise reviewed A Splash of Red on our blog last year. We had the honor of seeing Jen and Melissa receive the Schneider Family Book Award at the ALA Awards Ceremony in Las Vegas last week. 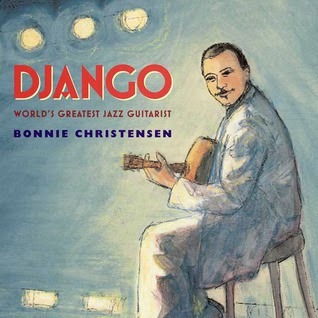 In 2010 Bonnie Christensen won the Schneider Family Book Award for her picture book biography, Django: World's Greatest Jazz Guitarist. What attracted my husband to me when we first met was that I owned a Django Reinhardt record (we're talking vinyl here, folks). He turned to me and said, "I see you have excellent taste in music." I knew I did because no one has ever equaled Django's sound and technique. His music is fun, and Reinhardt's ability to move up and down that fret board lightning fast, making chords all with only two fingers makes him the perfect subject for the Schneider Family Book Award. Using a rhythmic narrative, this informational picture book biography gives readers a brief overview of the life of the world's greatest jazz guitarist. Readers learn of Reinhardt's birth in 1910 in a gypsy encampment to his playing music throughout Europe, the accident that injured his left hand and up to 1930 when to took his first steps into performing in France. Float on music to the stars." I had the pleasure of meeting Bonnie Christensen on a shuttle bus after the Newbery/Caldecott Banquet in Washington, D.C. in 2010. We chatted about our families and our hometowns. Near the end of our ride, Bonnie mentioned that her book, Django, had received the Schneider Family Book Award. Bonnie told me what an honor it was to win the award and said she would be signing copies of Django the next morning. The next day, I stood in line in the exhibit hall and had Bonnie sign a copy of the book for my school library. When I returned to school in the fall, I read Django to my third grade classes as part of a biography unit. Christensen's lyrical narrative and muted, oil illustrations captivated my students. The children were inspired by Reindhardt's determination to continue performing after suffering serious injuries to his hand in a fire. 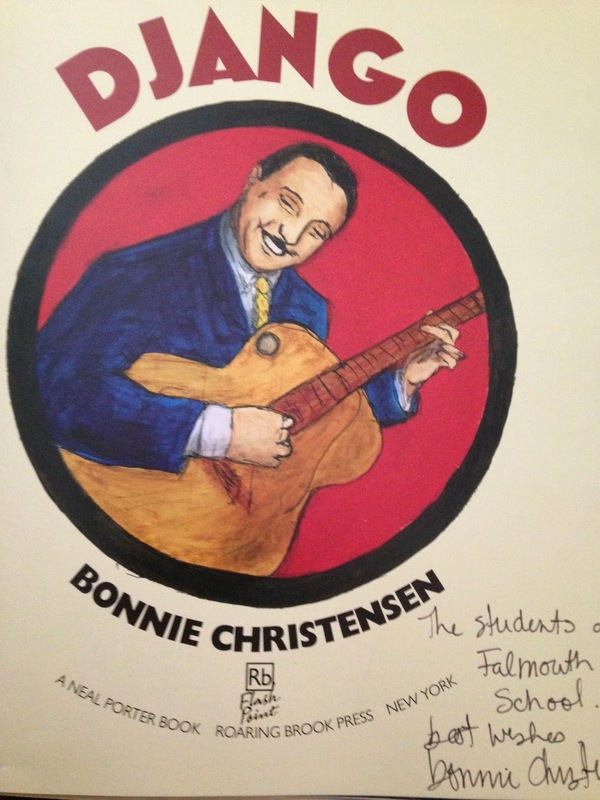 None of my third grade students had heard of Django Reinhardt before reading the picture book. Thanks to the work of Bonnie Christensen and the Schneider Family Book Award, a new generation of readers know about Django Reinhart's inspiring story of overcoming adversity. In honor of the 10th anniversary of the Schneider Family Book Award, the blog tour will give away the winning titles from 2014. One person will win a set of all 3 Schneider Family Book Award Winners from 2014. Participants must be 13 years or older and have a U.S. or Canadian mailing address. Thank you both for participating in the blog tour. Cathy - I am glad that Splash of Red was selected for a Sibert too. Louise I love learning that you had vinyl records of Django's music. "Marcelo in the Real World" is probably my very favorite. However, this year's "A Splash of Red: The Life and Art of Horace Pippin" is a close second. It is a book that I think everyone should read and every library should have a copy. A wonderful, encouraging story on so many different levels. Booktalks, booktalks, and more booktalks! I read A Splash of Red a few weeks ago. I understand why it won. I read and adored A Splash of Red but haven't read Django. Sounds like a biography that my students would also enjoy. Thanks for highlighting it here.